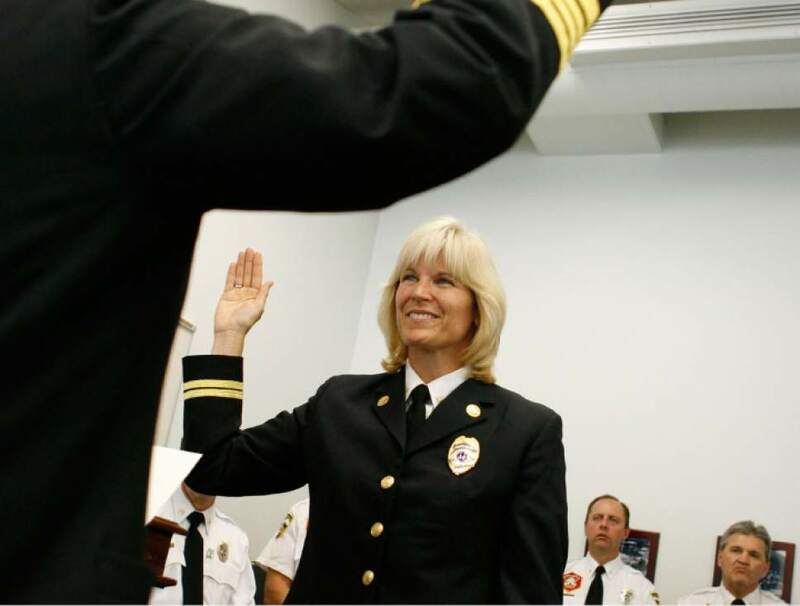 Martha Ellis, the first female battalion fire chief for the Salt Lake City Fire Department (“SLCFD”), recently filed a whistleblower lawsuit against Salt Lake City, after submitting a notice of claim to the city in June of this year. Ellis, through her lawsuit, claims that she was the victim of workplace retaliation, including a demotion, after she shed light on practice by top brass that included fraud, a cover-up, and violations of the state fire-code. Ellis, a 21-year veteran firefighter, alleges that she uncovered information that suggested the SLCFD “was allowing its executive team to pursue outside endeavors on city time without disclosure or pay reduction.” The complaint further alleges that certain SLCFD employees were paid for a full forty-hour workweek when those employees actually only worked three twelve-hour shifts. In addition to the payroll fraud Ellis alleged, Ellis also claims that she was pressured into to using her influence to persuade the department’s engineering committee to give its “seal of approval” for concrete bike lanes on 300 south, which would narrow the roadway to such an extent it would be out of compliance with the state fire-code. The complaint states that Ellis refused to cover up the “deliberate violation of the state fire code.” Ellis also claims she refused to cover up the completed lack of smoke detectors at Fire Station 2 prior to a March 2015 fire at the station. Through the instant lawsuit, Ellis seeks to be reinstated to her former position as battalion chief, including back pay and benefits. The lawsuit also seeks damages for emotional distress, damage Ellis’s reputation and loss of enjoyment of life, all in an amount to be proven at trial. In addition to suing Salt Lake City, Ellis’s lawsuit also names as defendants Salt Lake City Mayor Jackie Biskupski, former Fire Chief Brian Dale, interim Chief Karl Lieb, and Deputy Chief Robert McMicken, each of whom Ellis says she notified of the fraud and cover ups set forth in the lawsuit. Jaqualin Peterson, an attorney for Ellis, said that Ellis “tried dealing with these issues at the lowest level and the city’s been non-responsive.” Peterson noted that the lawsuit was Ellis’s only remaining option. Ellis states that she initially complained of the possible payroll fraud as part of a May 2015 letter to the Salt Lake City attorney, as well as in a September 2015 complaint to Salt Lake City’s Equal Employment Opportunity (“EEO”) program manager. She then says that, after Mayor Biskupski was elected in November 2015, she “communicated in good faith” to the then-mayor-elect about her concerns over the suspected payroll fraud. The lawsuit also alleges that she voiced these same concerns to Mayor Biskupski in January of this year. Among her claims of fraud, was the fact that then-Chief Dale was providing consulting services for the Salt Lake City-based International Academies of Emergency Dispatchers (“IAED”) while on the job for Salt Lake City. [T]he fire department and Salt Lake City (presumably with the mayor’s acquiescence, since she was fully aware of the allegations and the ongoing proceedings) had already decided upon Ms. Ellis’ discipline before actually meeting with her or giving her the opportunity to present her side of the story. Ellis’s whistleblower lawsuit runs parallel to a federal discrimination and harassment suit filed by Ellis in 2014, which claims that she has also suffered sexual discrimination and harassment since 2012, when she was passed over twice for a promotion. In relation to her discrimination and harassment suit, Ellis points towards city documents and other recording that she claims reveal a sexist culture with the SLCFD. One such recording contains then-Chief Dale calling his female subordinates derogatory terms. While Salt Lake City’s HR department has concluded that there was insufficient evidence to support Ellis’s allegations that former Chief Dale violated Salt Lake City’s harassment policy, the complaint is still pending before the EEO. If you or someone you know has been the subject of workplace retaliation for exposing potential fraud or other wrongdoing on the part of your employer, please do not hesitate to contact our whistleblower attorney team for a consultation. Under both state and federal whistleblower laws, employees are protected from workplace retaliation, and may be entitled to reinstatement, back pay, and otherwise. Our whistleblower attorney team can be reached via email at kporter@chrisjen.com, or by phone at 801-323-5000, or through our contact form.